Private Supercar Collection From Dreams! - Muscle Cars Zone! Private Supercar Collection From Dreams! 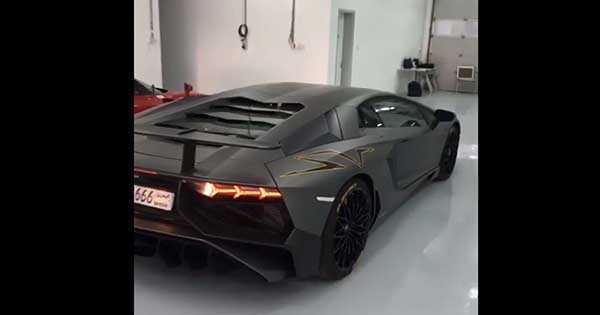 It`s hard to say who has the biggest and most exclusive supercar collection as there are many rich car collecting enthusiasts around the world. However, this one definitely ranks up pretty high by our standards. It has limited edition and exclusive exotics that will make your head spin. The only thing we can ask you is which one would you take? You can choose from the beasty classic which is the Ferrari F40 to a newer hybrid-powered hypercar in the likes of McLaren P1. Everything in between is not to be underestimated as well. This collection features the mighty and legendary Maserati MC12. There are only 62 examples of this monster built by master designer Frank Stephenson. Stephenson designed both the body and chassis. This particular MC12 has only 21 miles on the odometer meaning that it`s literally brand new! When it comes to Ferrari you can also see the legendary Enzo named after the mythical founder of Ferrari. It also features another hybrid car made by Ferrari which was made to compete with McLaren`s P1. Brace yourselves for the Ferrari LaFerrari. The plethora of Italian supercars doesn`t end here as it also features another beasty Italian monster but from a different manufacturer. That car is the mighty Lamborghini Aventador. There`s no great supercar collection without a Lambo, right? Well, yeah, but what we think this collection only lacks is a Bugatti inside. Nevertheless, it`s one pretty insane plethora of supercars. Watch the video below, enjoy and make sure to take your pick! Now, could this be one of the best collections ever seen? Check it!